Running out of ideas on what to get for your family? We have compiled for you the list the hottest and most popular Christmas ideas for the year 2016. 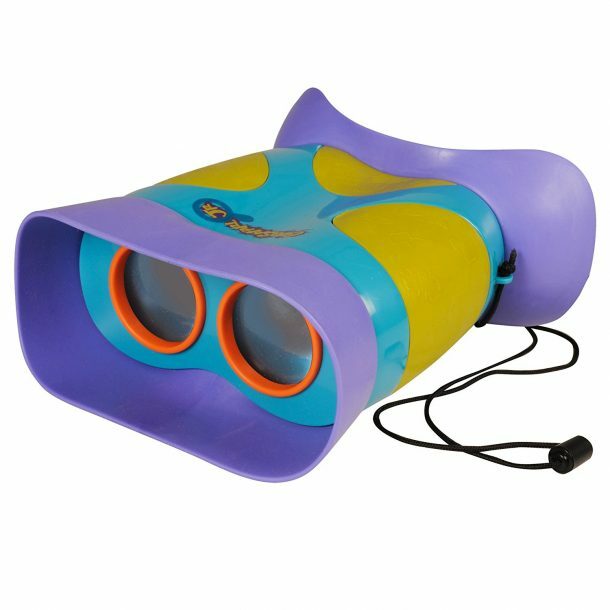 These are educational, focus-free, kidnoculars aimed for teaching kids about nature from afar in dazzling clarity. These kidnoculars promote outdoor discovery and investigation and encourage nature exploration and bird watching. These also let the kids not feel left out during your adventures. They feature enlarged eyepieces and foolproof placement goggles. “I bought these for my sons before a nature vacation. Since the magnification is pretty weak (only has 2x magnification – makes things look like they are twice as close as they are), I was a bit sceptical and was tempted to buy fancier ones. But these are less than 8 ounces each. They are also pretty unbreakable and incredibly safe. My two and six-year old’s must have found the strap comfortable because they wore them all over the place. When one pulled on them too hard, the safety snap opened, so the kiddo didn’t hurt his neck (although I did find it hard to get better together). By then, I was glad the magnification wasn’t too good because they were looking through them constantly and stronger binoculars might have been dangerous if they looked too close to the sun. We had a more solid pair with us that they occasionally used under supervision, but they adored these.” – Amazon’s Customer Review. 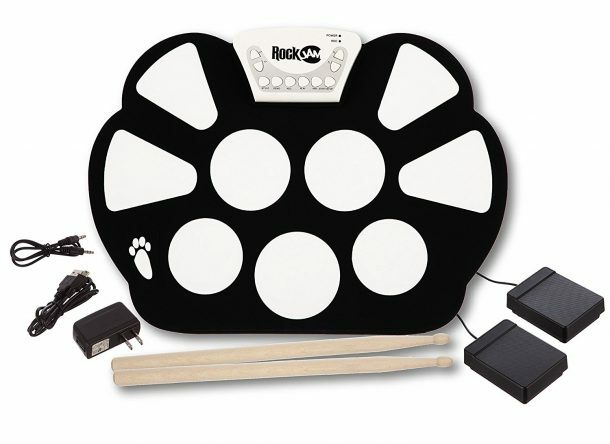 This is a portable rock and jam electronic drum kit for the young enthusiasts of music and instruments. It features 9 drum pads which provide the realistic expression of the original drum kit. Along with them come 2 drum pedals, drumsticks and power supply. It can easily be rolled and stored and an integrated headphone jack allows a drummer to plug in headphones during practice sessions, or into an amplifier for home performances. Additionally, you can also record your session for remembering the beats. “This pliable drum kit has an impressive array of sounds it can create. You have nine drums for the sticks and 2-foot pedals for bass drums. In addition to that, there is the ability to change the different types of drums with a style button. Being a novice, I don’t know the technical names – regular drums you’d hear in band drums that sound more like they are from the islands, etc. I must say they packed a lot of different sounds in the small kit enough to keep anyone busy and the sounds are true-to-life.” – Amazon’s Customer Review. 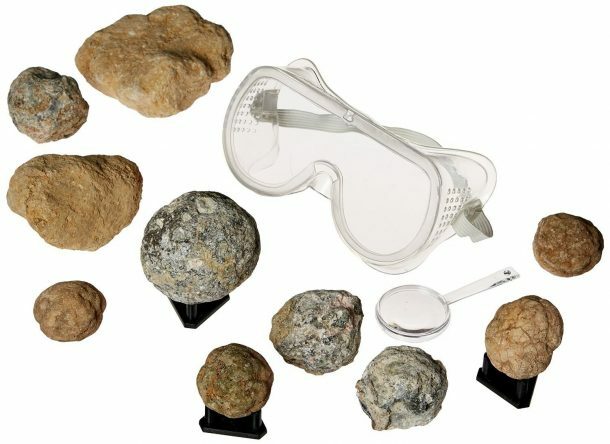 For promoting an appreciation of nature and earth in the children, this is a National Geographic kit of 10 geodes. Geodes are naturally forming volcanic rocks that contain amazing crystal formation. The kids will crack them open and discover amazing crystals. The providers make sure that each rock has beautiful crystal so no child is disappointed. Break ’em open. “Purchased the geodes for my seven years old’s birthday. She loved breaking them open, but I was pretty excited about it too! We opened a few at a time and let the whole family and a few friends open one. I guess we got lucky and all of the rocks were real geodes, no duds. Only one of the rocks was somewhat solid, but it still was filled with crystals. There were two different types of geodes in the kit. All of the crystals were either white or light gray-purple-ish. Very pleasantly surprised and pleased!” – Amazon’s Customer Review. 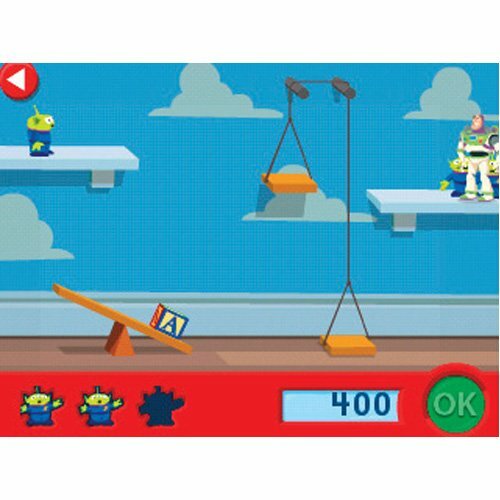 This game has been designed by the educational experts for involving kids into thinking logically. It teaches kids about science facts, sea animals, sorting and logical reasoning through their heroes; Dory, Nemo, Wall-E and Eve. The game itself involves completing puzzles, solving challenges etc. Appropriate for kids aged 4 to 7. “I don’t know why everyone is saying the mazes in this game are hard to understand/do! My son is 3 1/2 and not only does he love the game but he had no problem figuring out how to unlock the keys to open the doors to the games. When he first played it, I had to show him the concept of the game (on Nemo, the first of three he decided to play) and once I showed it to him he had no problem (and was able to to the others without help). Also, the instructions narrated before and during each game are very clear and explanatory. It shows where the keys are and tell you step by step how to use the functions of the game. I know some have said it was hard and confusing to figure out the mazes and their kids did not know what to do or the point of the game, but I did not find that to be true at all and neither did/does my son. All in all, I can say he loves the game and has a lot of fun with it!” – Amazon’s Customer Review. 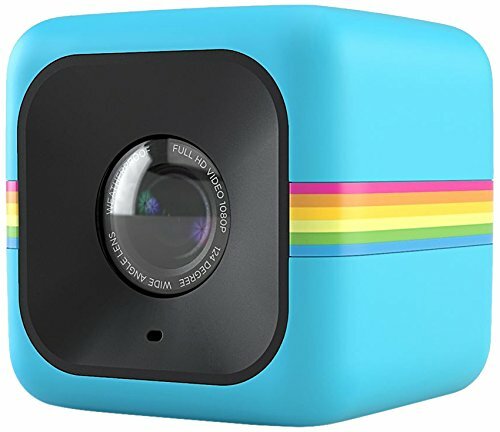 This is a polaroid cube with 124 degrees, wide angle lens effortlessly being able to capture vibrant scenes. It has a 6 Megapixel camera with a 720P and 1080P video recording. It can mount magnetically with a clip and has the built-in rechargeable battery, recorded to work 90 minutes continuously on a single charge. “This is a fantastic little action camera. Not only is it extremely small but it takes amazing quality videos and still photos. The camera is 1.4 inches by 1.4 inches by 1.4 inches cube shaped. It weighs in at 1.66 ounces. It comes with a charging and computer connection cable, and the camera has an internal rechargeable battery that when fully charged will record a video for 90 minutes. The high quality 6 MP camera takes great 720 P and 1080 P video. There is a switch under the water resistant cover that allows you to switch between the two video quality modes. Under the lens on the front of the camera, there is a microphone to record what is going on. The sound and video recording are superb.” – Amazon’s Customer Review. 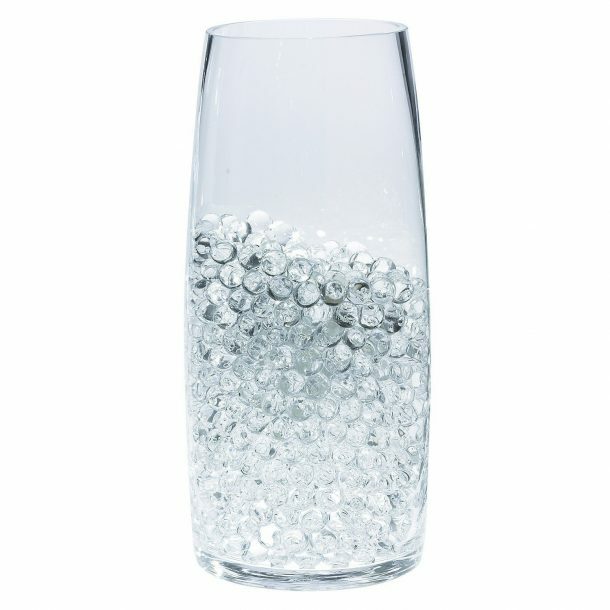 This is a tower vase which features about 6 gallons of hydrated round bouncy crystal soil water beads. You can use them as centrepieces or for keeping the freshly cut flowers. They are reusable to up to 2 years and are 100% biodegradable and non-flammable. Get the sparkles of diamonds in your centrepieces. “We purchased the water pearls as part of the centrepiece for my daughter’s wedding reception. They were amazing! We did a trial run on June 16 to test the longevity of the product and how long it took for them to expand. I would suggest a full 48 hours for them to grow but believe it or not, they are still in good shape today. Just as a side not, use Kool-Aid to add colour to your beads. The colour is more vibrant.” – Amazon’s Customer Review. 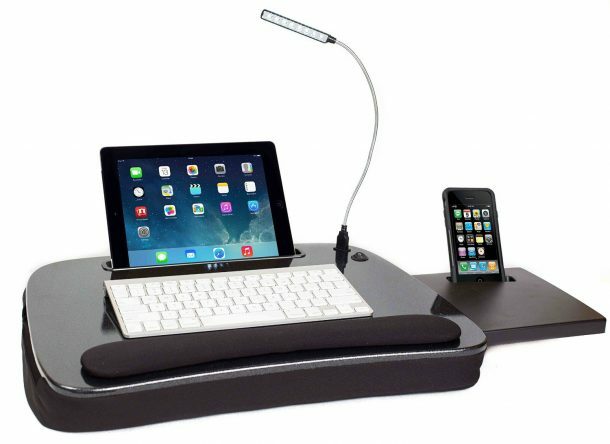 This is a multi-tasking, foam lap desk for carrying your workstation to wherever you go. It includes tablet slots that fit tablets 9.6 inches or smaller and a smartphone slot that fits mobile devices 3.5 inches or smaller. It has a slide out mouse desk that pulls out on either left or right of the desk. A workstation that goes wherever you go with a cool and comfortable build for resting wrist. “I’ve owned several lap desks, and this one is hands down, the BEST! Construction feels high quality, from the memory foam padding to the included LED light and slide out mouse pad holder. Very satisfied with my purchase” – Amazon’s Customer Review. 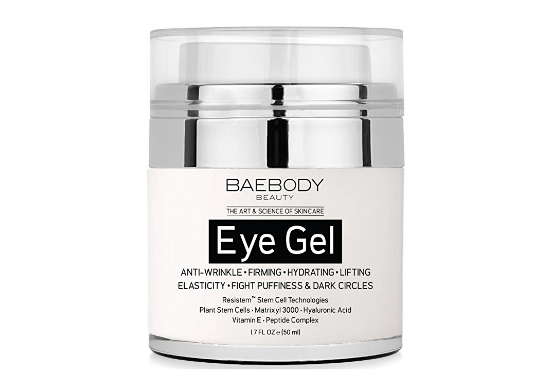 This is one of the top rated eye cream for dark circles, puffiness, wrinkles and bags. It moisturises and hydrates eyes while fighting signs of ageing and help reduce puffiness. The hyaluronic acid hydrates and plumps skin while the matrixial 3000 firms skin, vitamin E, MSM, and plant stem cells strengthen skin to protect against sun damage and ageing. Manufactured from safe and natural ingredients. An excellent option for Christmas! “I ADORE this product. I do not know how it works, but it works. And I have tried products from AVON, Roc and Oil of Olay. I originally bought this for under my eyes because I saw age there; bagginess, tiredness, discoloration and some slight fine lines. This product firms this area right up, brightens it up and smooths it all out. I use it all over my face, though, and it has made my complexion look fabulous. I usually do not review facial products because I don’t ever see real results. I had high hopes for this one. It performs well. You can use it all over your face. It will brighten up your complexion and firm up your skin. I love it. I noticed a visible difference after four days…NOT kidding!” – Amazon’s Customer Review. This is Jensen’s 3-speed stereo turntable with built-in speakers. 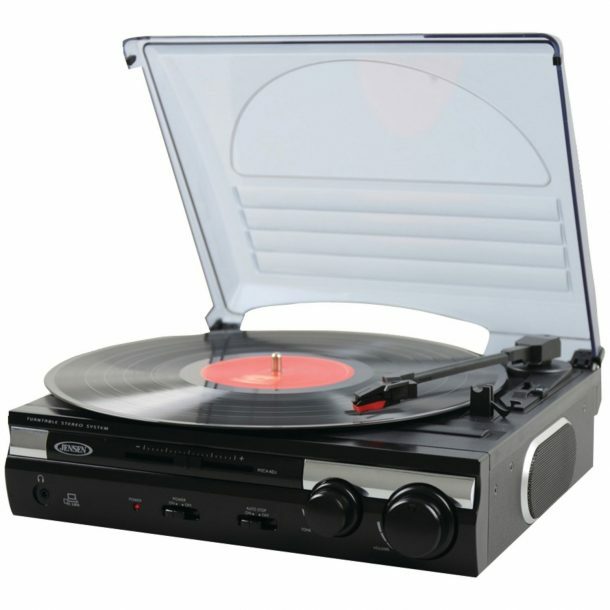 It has a USB port with cable included for converting vinyl records to digital format with software included for recording, editing, and converting your audio to MP3 format. It also has an auxiliary input jack for connecting your devices and pitch control for adjusting record speed, volume control and tone control. An exciting way to relive the old manner of listening music! “This thing is awesome. It’s like the old record players most of us probably had in our bedrooms to listen to records. About the only thing, it doesn’t have is the ability to put a stack of records on and let them automatically drop, and the arm doesn’t automatically reject and go back to rest in the home position. You can switch it to either keep going in the end-groove or for it to stop once it gets there. Sound: It’s got two built-in speakers that sound better than my old record player did in the 60’s, OR you can use the line-out jacks on the back to hook up to the external power amp and upgrade speakers like we did in the 70’s. It’s also got an Aux In jack so can plug in an iPod or phone, to utilise the speakers. And of course, the main reason I bought this, is it’s got the USB connection to be able to rip my old records to MP3. This thing is a LOT better than what I was anticipating for the money. If you’re looking for the same quality sound and experience, most of us listened to records on in the first place; this is it. If you’re looking for a super high-end turntable like the purists (people who wear gloves to handle records), this is not it.” – Amazon’s Customer Review. Who isn’t crazy for capturing the memorable moments, artistic landscapes, rain, snow, fall, autumn and save them in memories. Well, this little fellow will do the stuff for us. 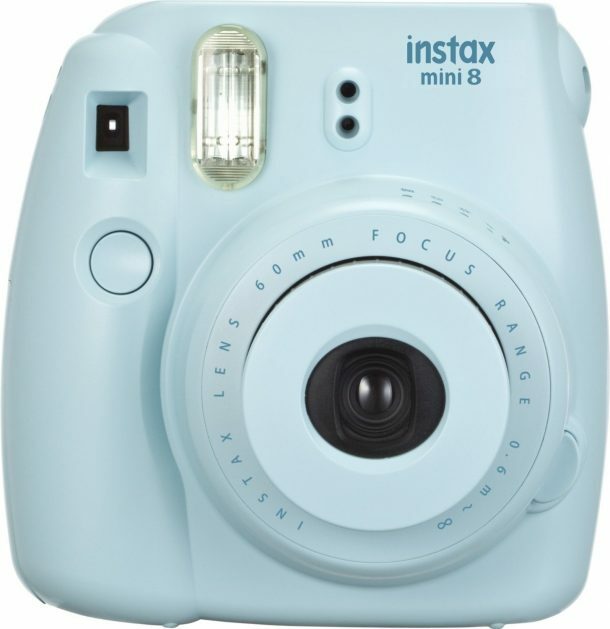 This is FujiFilm’s Instax which takes high definition photos and automatically prints them out at the very moment. It has automatic exposure measurement and takes brighter pictures with softer looks, ideal for portraits. The new and improved viewfinder offers greater clarity and visibility. You can also manually adjust the dial to recommended settings. “Amazing. Takes great pictures! It has lots of settings to play with. Comes out instantly. Only thing is it doesn’t come with film.” – Amazon’s Customer Review.